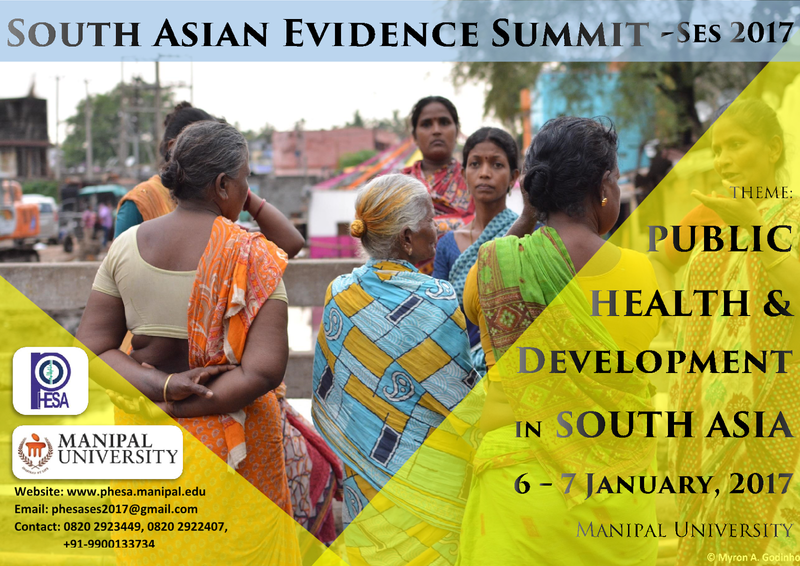 PHESA (www.phesa.manipal.edu) is a research organisation which aims to meet the public health evidence needs of the South Asian region. Starting out as the South Asian satellite of Cochrane Public Health (http://ph.cochrane.org/), it has now grown into an international network with global collaborations. It fosters an environment which inspires new ideas, debate, change and innovation; with a focus on networking, and evidence and capacity building. This conference, a four-day event, will bring together an interdisciplinary group of professionals, academicians, stakeholders, researchers and students. It will serve as a common platform where professionals can engage in knowledge transfer and inter-professional collaborations. 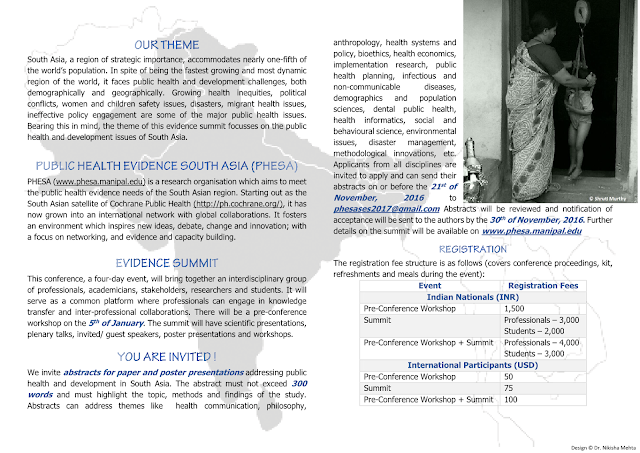 There will be a pre-conference workshop on the 5 th of January. The summit will have scientific presentations, plenary talks, invited/ guest speakers, poster presentations and workshops.